Construction has begun on a new £15m state-of-the-art facility for TBS Engineering, the world’s leading manufacturer of lead acid battery assembly equipment. 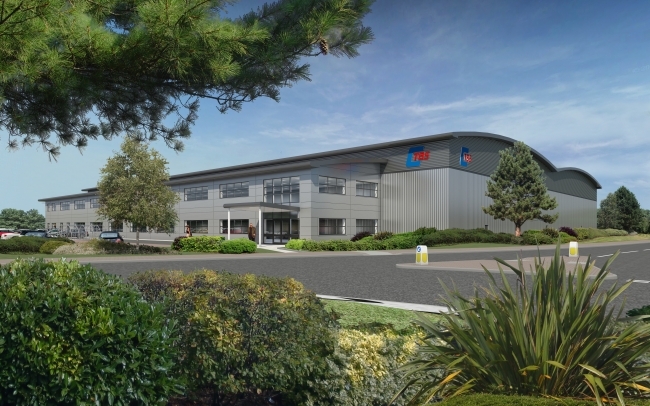 The new 100,000 sq ft, purpose-built manufacturing and engineering facility, based in Gloucester Business Park, will become the global head office of the £35m operation, and home to TBS’ 170 employees. The new facility will include 80,000 sq ft of manufacturing space together with 20,000 sq ft of office accommodation. David Longney, TBS Managing Director said: “Our investment in the new facility will support our ongoing growth and expansion plans. Over the last fifty years TBS has enjoyed sustained growth. And our new facility will enable us to continue to lead the world in the manufacture of lead acid battery equipment. “The investment shows our confidence in the market and commitment to the expertise, talent and engineering resources here in Gloucestershire. They enable us to stay at the forefront of our industry, and our clients to benefit from the world class standards of British engineering. TBS expects to move into the new building in Spring 2018, after which it will close its operation at Lansdown Industrial Estate in Cheltenham, where it has traded for the last fifty years, since the company was launched in 1967 by its founder Thomas B Stamp.